During his junior season, Rozier broke Bobby Reynolds' long-standing school record for rushing yards in a single season, with 1,689 yards, and led Nebraska to a second consecutive outright Big 8 title and a 12-1 record, losing only in controversial fashion to eventual national champion Penn State. In a particularly memorable performance against Missouri, Rozier came off the bench in the second half to rush for 139 yards on 17 carries to lead Nebraska to a comeback victory despite suffering from a painful hip-pointer injury. Rozier finished the 1982 season a consensus All-American and finished 10th in the Heisman voting. As a senior, Nebraska's high-octane offense was often unstoppable, averaging 52 points and 401 rushing yards per game. Rozier's statistics were mind-boggling; a nation's best 2,486 total yards with 2,148 of those coming on the ground and twenty-nine touchdowns scored. His 7.8 yards-per-carry mark on the season still stands as the NCAA record for players with more than 214 carries in a season. Against Kansas, Rozier rushed for a staggering 230 yards in the first half and finished with 285 rushing yards total, at that time a school record. 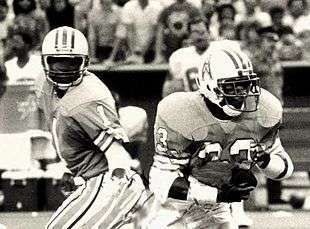 Rozier went over 200 yards in each of his last four regular season games of the 1983 season. His magical senior season was capped when he was awarded the Heisman Trophy, given to the best individual player in college football and was again an All-American. Unfortunately, his college career would end in disappointment, losing the 1984 Orange Bowl in which Miami defeated Nebraska 31-30 for the national championship. Rozier had 138 yards on 21 carries at halftime against a Miami Hurricanes team with the second ranked defense in football, but he had to leave in the third quarter following an ankle injury. Rozier finished the game with 147 yards on 26 carries. Mike has been with his wife Rochelle, an attorney, for almost 20 years and married for more than 10 years. They reside in South Jersey and together they have one son, Michael Guy Pacheco Rozier. He has two other children who reside in Houston Texas Amber Rozier and JaMichael Rozier. In 1996 he was shot in his hometown of Camden, New Jersey. Rozier, along with his wife and three other family members, appeared on the October 22, 2013 episode of Family Feud. ↑ Herbert Lowe", Rozier, Wounds Healing, Glad To Join The Heisman Scene", The Philadelphia Inquirer (December 15, 1996). Retrieved September 24, 2011. "As Mike Rozier readily autographed footballs and miniature helmets in the lobby of the Downtown Athletic Club yesterday, a woman looked at the bandage on his right hand and asked, 'What happened to you?' 'I got shot,' the 1983 Heisman Trophy winner—who set rushing records at the University of Nebraska and at Woodrow Wilson High School in Camden—said matter-of-factly." ↑ Biancolli, Amy. "Albany couple to appear Tuesday on 'Family Feud'". Albany Times-Union. Retrieved 22 October 2013.